Q: Smart hand dryers using Internet of Things technology are just starting to enter the market. How soon until these units are more prevalent? Pesch: IoT is shaping every product, not just smart hand dryers. Our parent company, Zurn, manufactures several advanced water solutions to include this technology already. It’s right around the corner and I think every manufacturer is inching up to have a seat at the table. IoT can serve a purpose or it can just be a cool thing. We want to serve a purpose and align with our customers’ business models and goals, whether that be the environment, costs or their patrons’ satisfaction. Q: What kind of data do smart hand dryers collect and how can it be used by facilities? Pesch: Data. It’s massive, complex and it’s shaping the way we look at everything … even hand dryers. Smart hand dryers will be able to provide valuable insights about energy use to empower customer businesses and our own. We can always get more efficient. We can always help cut more costs for business owners. Facilities will be able to use data to assess the volume of traffic and peak periods of use and schedule cleaning and maintenance at optimal times. 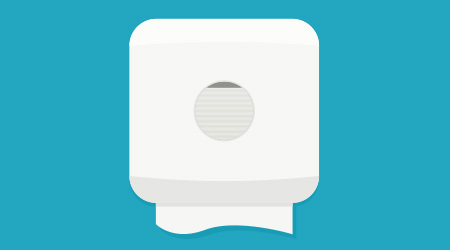 Q: Smart towel dispensers are already in the marketplace, but not widely adopted. Do you think smart hand dryers will face similar obstacles? Pesch: Adoption requires awareness. Business owners need to clearly understand the benefits, and more importantly, how they work. Smart hand dryers offer significant cost savings, energy efficiency and easy maintenance. They take the convenience and costs hand dryers already offer one step further by being intuitive. You know how many people used hand dryers in a day, so you can better understand the environmental impact. You know when it’s time to change a filter, which is a good feeling when there’s 10,000 other tasks on your staff’s list.